Is the Church a Cruise Ship or a Battleship? Some years ago, Fr. Patrick Smith, a friend of mine and a priest of this archdiocese, preached a sermon in which he asked if the Church was a clubhouse or a lighthouse. It seems that many people want the Church just to be a friendly place where people can gather. Many of these same people get angry when the Church shines the light of truth on something. They declare that the Church should just be open and inviting. They object when She is challenging or points to the demands of the gospel. The Church must be more than just a clubhouse; otherwise, She is no different than a bowling league or the Moose Lodge. She is most certainly meant to be a lighthouse, warning of danger and giving light to those in darkness, but She also must risk that some who are accustomed to the darkness will complain of the Light of Christ She reflects. It was indeed a fine sermon, and its message is essential and profound. I was mindful of that sermon when I ran across the video below from Ignitermedia.com, which asks if the Church is a cruise ship or a battleship. Do I like the music they play in the ballroom? Do I like the captain and his crew? Are my needs met promptly? Do I want to cruise with them again? Our parishes ought to work very hard to ensure that the faithful are effectively served and are helped to find God. 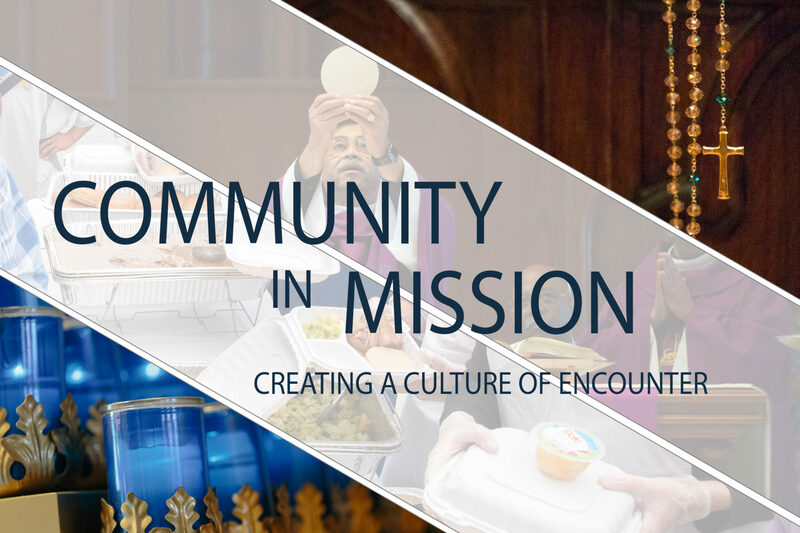 Good sermons, reverent liturgy, good music, a beautiful church building, and dedicated clergy and lay staff are all important. God deserves the very best and so do His people. However, it the world does not exist merely to please us. No parish we attend will ever be exactly the way we want it. No priest preaches perfectly every Sunday. The choir does not always sing our favorites. Some people stay away from Church, calling it boring or saying they aren’t being “fed.” But in the end it’s not about you! We go to Mass to worship God because He is worthy, because He deserves our praise, and because He has commanded us to do so. God has something important to say to us whether we want to hear it or not. He directs us to eat His flesh and drink His blood, whether we like it or not. We must eat or else we will die. Holy Mass is about God and what He is saying and doing. Is the ship on a clear and noble mission? Is the ship able to endure storms at sea? Does the captain submit to a higher authority? Are the tactics and moves of the enemy well understood by the crew? Does the crew have proper training and experience? Are the crew members equipped to succeed? Does the crew cooperate with the captain and other leaders? Are they taught to be disciplined and vigilant? Are they at their posts? Do they take the battle seriously? Does the ship have adequate first aid and medical help? Is the crew properly able to distinguish lesser threats from greater ones? Some dislike any military imagery in reference to the faith. One person angrily told me that the Church is not a battleship; She is a fishing vessel. Perhaps, but one image does not preclude another. Pugna spiritalis (spiritual battle) is simply a fact. We are besieged by the world, the flesh, and the devil. We are called to engage the battle and by God’s grace win through to victory. Our weapons are the Word of God, the teachings of the Church, the Sacraments, and prayer. We cannot win on our own but must work together under the authority of the Church, which is herself under God’s care and authority. We are rooted in the wisdom of tradition and guided by it. A certain pontiff emeritus suggested that the Church is taking on water lately but will not go under because the Lord is sleeping in the back quarters. The Barque of St. Peter has endured many storms yet has never sunk. She is a sure a steady ship on a clear and noble mission. She is a well-armed battleship, armed with grace and truth. There is an urgency and clarity about Sunday’s Gospel that is often lacking in modern Christians, including the clergy. The message is urgent, provocative, and clear: there is a day of judgment coming for every one of us and we must be ready for it. The message is a sobering one for a modern world that is often dismissive of judgment—and certainly of Hell. Jesus clearly says that the Kingdom of God can be taken from us for our refusal to accept its fruits in our life. The parables that Jesus related to teach about judgment and the reality of Hell are often quite vivid, even shocking in their harsh imagery; they are certainly not stories for the easily offended. They are also difficult to take for those who have tried to refashion Jesus into a pleasant, affirming sort of fellow rather than the uncompromising prophet and Lord that He is. No one spoke of Hell more often than Jesus did. Attempting to reconcile these bluntly presented teachings with the God who loves us so much points to the deeper mysteries of justice and mercy and their interaction with human freedom. This point must be clear, however: no one loves us more than Jesus does and yet no one spoke of Hell and its certainty more often than Jesus did. No one warned us of judgment and its inescapable consequences more often than did Jesus. Out of love for us, Jesus spoke of death, judgment, Heaven, and Hell. As one who loves us, He wants none of us to be lost. So He warns us; He speaks the truth in love. Historically, this parable had meaning for the ancient Jews that had already come to pass. God had established and cared for his vine, Israel. He had given them every blessing; He had led them out of slavery and established them in the Promised Land. Yet when searching for the fruits of righteousness He found little. God sent many prophets to warn them and to call forth those fruits, but they were persecuted, rejected, and even murdered. Finally, God sent His Son, but He too was murdered. There comes forth a sentence: He will put those wretched men to a wretched death and lease his vineyard to other tenants who will give him the produce at the proper times … Therefore, I say to you, the Kingdom of God will be taken away from you and given to a people that will produce its fruit. By 70 A.D., Jerusalem was destroyed; the Temple was never to be rebuilt. The Jewish people are not singled out in the Scriptures., All of us, like them, are a vineyard. If we are not careful, their story will be ours. Like the ancients, we have a decision to make. Either we accept the offer of the Kingdom and thereby yield to the Lord’s work and bring forth a harvest, or we face judgment for rejecting that offer. God will not force us to accept His Kingship or His Kingdom. We have a choice to make and that choice will be at the heart of the judgment we will face. Let’s take a closer look at today’s Gospel and apply it to the vineyard of our lives. I. THE SOWING – The text says, There was a landowner who planted a vineyard, put a hedge around it, dug a wine press in it, and built a tower. Then he leased it to tenants and went on a journey. Note the care and providence of the landowner (God), who has given each of us life and every kind of grace. The image of the vineyard indicates that we have the capacity to bear fruit. This signifies the many gifts, talents, and abilities that we have been given by God. The hedge calls to mind the protection of His grace and mercy. Though the world can be a tempting place, God has put a hedge of protection around us that is sufficient to keep us safe from serious sin, if we accept its power. But a hedge implies limits. Although God’s protective graces are sufficient, we must live within limits, within the hedge that keeps the wild animals of temptation from devouring the fruits of our vine. The tower is symbolic of the Church, which stands guard like a watchman warning those who live within the boundaries of the hedge of dangers. The tower (the Church) is stands as a sign of contradiction to the hostile world outside, which seeks to devour the fruit of the vineyard. That the landowner leases the vineyard is a reminder that we are not our own; we have been purchased at great cost. God and God alone created all these things we call ours. We are but stewards, even of our own lives. We belong to God; we must render an account to Him and show forth fruits. This point must be emphasized: God has given us great care. He has given us His grace and mercy—His very self. As the text from Isaiah says, What more was there to do for my vineyard that I had not done? God loves us and does not want us to be lost. He gives us every grace and mercy we need. The Lord says, As surely as I live, declares the Sovereign LORD, I take no pleasure in the death of the wicked, but rather that they turn from their ways and live. Turn! Turn from your evil ways! Why will you die, O house of Israel? (Ez 33:11) This must be emphasized because we grumble too quickly about the coming judgment. God offers every possible grace to save us. It is up to us to accept or reject His help. II. THE SEEKING – The text says, When vintage time drew near, he sent his servants to the tenants to obtain his produce. There come moments in our lives when God looks for fruits. Remember that He is the owner and the fruits are rightfully His. He has done everything to bring forth the fruit and now deserves to see the produce of His grace in the vineyard of our life, which is His own. What fruits does the Lord seek? The values and fruits of the Kingdom: faith, justice, mercy, peace, forgiveness, chastity, faithfulness, generosity, love of the poor, love of one’s family and friends—even love of one’s enemy—kindness, truth, sincerity, courage to speak the truth and witness to the faith, and an evangelical spirit. The text says that the owner sent his servants to obtain the produce. Here also is evidence of God’s mercy. Historically, God’s “servants” were the prophets. God sent them not only to bring forth the harvest of justice, but also to clarify and apply His Word, and to remind and warn sinners. God patiently sent many generations of prophets to help Israel. It is the same for us. God sends us many “prophets.” Perhaps they are priests or religious, parents, catechists, teachers, or role models; but they are all part of God’s plan to warn us to bear fruit and to help call forth and obtain some of those fruits. Each in his own way says, as St. Paul did in today’s second reading, Whatever is true, whatever is honorable, whatever is just, whatever is pure, whatever is lovely, whatever is gracious, if there is any excellence and if there is anything worthy of praise, think about these things. Keep on doing what you have learned and received and heard and seen in me (Phil 4:8-9). Yes, God seeks fruits, and rightfully so. He sends His servants, the prophets, to help call them forth in us. III. THE SINNING – The text says, But the tenants seized the servants and one they beat, another they killed, and a third they stoned. Again he sent other servants, more numerous than the first ones, but they treated them in the same way. Finally, he sent his son to them, thinking, ‘They will respect my son.’ But when the tenants saw the son, they said to one another, ‘This is the heir. Come, let us kill him and acquire his inheritance.’ They seized him, threw him out of the vineyard, and killed him. Despite all that the owner has done by sending His servants, the tenants reject them all, and with increasing vehemence; their hearts grow harder. The landowner even goes so far to demonstrate his love and his will to save that he sends his own son, but they drag him outside the vineyard and kill him. Yes, Jesus died outside the city gates, murdered for seeking the fruit of faith from the tenants of the vineyard. What of us? There are too many who reject God’s prophets. They do so with growing vehemence and abusive treatment. Many people today despise the Church, the Scriptures, parents, friends, and Christians in general who seek to clarify and apply God’s Word and to warn of the need to be ready. Repeated resistance can cause a hardening of the heart to set in. In the end, there are some—in fact many according to Jesus—who effectively kill the life of God within them and utterly reject the Kingdom of God and its values. They do not want to live lives that show forth forgiveness, mercy, love of enemies, chastity, justice, love of the poor, generosity, kindness, and witness to the Lord and the truth. We ought to be very sober because there are many, many people today who are like this. Some have merely drifted away and are indifferent. (Some have been hurt or are struggling to believe, but at least they remain open.) Still others are passionate in their hatred for the Church, Scripture, and anything to do with God, explicitly rejecting many of the values of His kingdom. We must continue in our attempts to reach them. IV. THE SENTENCE – The text says, What will the owner of the vineyard do to those tenants when he comes? They answered him, ‘He will put those wretched men to a wretched death and lease his vineyard to other tenants who will give him the produce at the proper times.’ Therefore, I say to you, the kingdom of God will be taken away from you and given to a people that will produce its fruit. Here, then, is the sentence: If you don’t want the Kingdom, you don’t have to have it. On one level, it would seem everyone wants the Kingdom. In other words, everyone who has any faith in God at all wants to go to Heaven. But what is Heaven? It is the fullness of the Kingdom of God. It is not just a place of our making. It is that place where the will of God, the Kingdom’s values, are in full flower. Many, however, do not want to live chastely, do not want to forgive, do not want to be generous, do not want to love the poor, do not want God or anyone else at the center, do not want to worship God. Self exclusion – Having rejected the Kingdom’s values, and having rejected the prophets who warned them, many simply exclude themselves from the Kingdom. God will not force the Kingdom on anyone. If, even after God’s grace and mercy and His pleading through the prophets, you don’t want it, you don’t have to have it. It will be taken from you and given to those who do. The existence of Hell is rooted in God’s respect for our freedom, for we have been called to love. Love must be free, not compelled. Therefore, Hell has to be a reality. It is the “alternative arrangement” that others make for themselves in their rejection of the Kingdom of God. At our death, our decision is forever fixed. Yes, Hell and the judgment that precedes it are clearly taught in today’s Gospel and in many other places (e.g., Matt 23:33; Lk 16:23; Mk 43:47; Matt 5:29; Matt 10:28; Matt 18:9; Matt 5:22; Matt 11:23; Matt 7:23; Matt 25:41; Mk 9:48; Luke 13:23; Rev 22:15). These teachings come from a Lord who loves us and wants to save us, but who is also well aware of our stubborn and stiff-necked ways. What is a healthy response to this teaching? To work earnestly for the salvation of souls, beginning with our own. Nothing has destroyed evangelization and missionary activity more than the modern notion that everyone goes to Heaven. Nothing has so destroyed zeal for the moral life and hunger for the Sacraments, prayer, and Scripture. And nothing is so contrary to Scripture as the dismissal of Hell with the false notion that all are going to Heaven. But rather than panic or despair, we must get to work and be more urgent in our quest to win souls for Christ. Whom does the Lord want you to work with to draw back to Him? Pray and ask Him: “Who, Lord?” The Lord does not want any to be lost. He still sends His prophets (this means you) to draw back anyone who will listen. Will you work for the Lord? Will you work for souls? There is a day of judgment looming and we must be made ready for it by the Lord. Will you be urgent about it, for yourself and others? The Assumption Explained – To be “assumed” means to be taken up by God bodily into Heaven. As far back as the Church can remember we have celebrated the fact that Mary was taken up into Heaven. We do not just acknowledge that her soul was taken to Heaven, as is the case with the rest of the faithful who are taken there (likely after purgation); rather, Mary was taken up, soul and body, after her sojourn on this earth was complete. There is no earthly tomb containing her body, neither are there relics of her body to be found among the Christian faithful. This is our ancient memory and what we celebrate today, Mary was taken up, body and soul, into Heaven. The Assumption Exemplified – While Mary’s Assumption is not described in Scripture, several other “assumptions” are; thus the concept itself has a biblical basis. The actual event of the Assumption is not described in Scripture. However, there are “assumptions” recorded in the Scriptures and thus the concept is biblical. Enoch – Enoch walked with God; then he was no more, because God took him away (Gen. 5:24). By faith Enoch was taken up so that he should not see death; and he was not found, because God had taken him. Now before he was taken he was attested as having pleased God (Hebrews 11:5). Elijah – And as they still went on and talked, behold, a chariot of fire and horses of fire separated the two of them. And Elijah went up by a whirlwind into heaven … And he was seen no more (2 Kings 2:11). Moses – Some say that because the location of Moses’ grave is not known, he too was taken up into Heaven. We read in Monday’s first reading at daily Mass: He was buried in Moab, in the valley opposite Beth Peor, but to this day no one knows where his grave is (Dt. 34:6). The text of course does not say that his body was taken up, and if it was, it occurred after death and burial. The Book of Jude hints at this: But even the archangel Michael, when he was disputing with the devil about the body of Moses … (Jude 1:9). Some further credibility is lent to the view of Moses being assumed by the fact that he appears with Elijah in the account of the Transfiguration. Some of the Church Fathers also held this opinion. Further, there is a Jewish work from the 6th century A.D. entitled The Assumption of Moses. In the end, though, the assumption of Moses is not officially held by the Church. Then God’s temple in heaven was opened, and within his temple was seen the ark of his covenant. And there came flashes of lightning, rumblings, peals of thunder, an earthquake and a great hailstorm. A great and wondrous sign appeared in heaven: a woman clothed with the sun, with the moon under her feet and a crown of twelve stars on her head. She was pregnant and cried out in pain as she was about to give birth. Then another sign appeared in heaven: an enormous red dragon with seven heads and ten horns and seven crowns on his heads …. The dragon stood in front of the woman who was about to give birth, so that he might devour her child the moment it was born. She gave birth to a son, a male child, who will rule all the nations with an iron scepter (Rev 11:19 – 12:5). The woman in the passage is clearly Mary, since the child is obviously Jesus (although she also likely represents Israel and Mother Zion). And where is Mary seen? In Heaven. Some argue that this does not necessarily indicate that her body is in Heaven; they say that it might be referring only to her soul. However, the physical description of her seems rather strong to support such a view. Others believe that because John mentions the ark and then continues on to describe Mary (the woman clothed with the son), that he is in fact still describing the ark. (I have written on this elsewhere: Mary: The Ark of the New Covenant.) If Mary is the ark described, then she is clearly in Heaven. So, the Bible, while not specifically recording Mary’s Assumption, does present other assumptions, thus showing it to be a biblical concept. Further, Mary’s physical presence in Heaven seems at least hinted at, if not directly described, in the Book of Revelation. The Church does not rely solely on Scripture. In this case, what we celebrate is most fundamentally taught to us by Sacred Tradition; the memory of Mary’s Assumption goes back as far as we can remember. The Assumption Extended to Us – The Feast of the Assumption is of theological interest and provides matter for biblical reflection, but eventually these questions are bound to arise: So what? How does what happened to Mary affect my life? What does it mean for me? The answers are bound up in nearly every Marian doctrine. Simply put, what happened to Mary will also happen to us in the end. As Mary bore Christ into the world, we bear Him in the Holy Communion we receive and in the witness of His indwelling presence in our life. As Mary is (and always was) sinless (immaculate), so too will we one day be sinless with God in Heaven. As Mary cared for Christ in His need, so do we care for Him in the poor, suffering, needy, and afflicted. Finally, as Mary was assumed, body and soul, into Heaven, so too will we be there one day, body and soul. After our death and subsequent purification, our soul goes to Heaven; our body, though, lies in an earthly tomb. But one day, when the trumpet shall sound, our body will rise and be joined to our soul. For we will all be changed—in a flash, in the twinkling of an eye, at the last trumpet. For the trumpet will sound, the dead will be raised imperishable, and we will be changed. For the perishable must clothe itself with the imperishable, and the mortal with immortality. When the perishable has been clothed with the imperishable, and the mortal with immortality, then the saying that is written will come true: “Death has been swallowed up in victory. Where, O death, is your victory? Where, O death, is your sting?” … Thanks be to God. He gives us the victory through our Lord Jesus Christ (1 Cor 15:51-57). So our bodies shall rise; they shall be assumed and joined to our soul. He will take these lowly bodies of ours and transform them to be like his own glorified body (Phil 3:21). But someone may ask, “How are the dead raised? With what kind of body will they come?” How foolish! What you sow does not come to life unless it dies. When you sow, you do not plant the body that will be, but just a seed, perhaps of wheat or of something else. But God gives it a body as he has determined, and to each kind of seed he gives its own body …. So will it be with the resurrection of the dead. The body that is sown is perishable, it is raised imperishable; it is sown in dishonor, it is raised in glory; it is sown in weakness, it is raised in power …. And just as we have borne the likeness of the earthly man, so shall we bear the likeness of the man from heaven (1 Cor 15:35-49). I know that my Redeemer lives, and that in the end he will stand upon the earth. And after my skin has been destroyed, yet in my flesh I will see God; I myself will see him with my own eyes—I, and not another’s (Job 19:25-27). The assumption of our bodies, prefigured by Christ in His own power and also in Mary by the gift of God, will one day be our gift too. The following song is an African-American spiritual and describes that “great gettin’ up morning” when our bodies will rise. If we have been faithful, our bodies will rise to glory! I’m gonna tell you about the coming of the judgement (Fare you well) There’s a better day a coming …. In that great gettin’ up morning fare you well! Oh preacher fold your Bible, For the last soul’s converted …. Blow your trumpet Gabriel …. Lord, how loud shall I blow it? Blow it right calm and easy Do not alarm all my people …. Tell them to come to the judgement …. In that great gettin’ up morning fare you well. Do you see them coffins bursting? Do you see them folks is rising? Do you see the world on fire? Do you see the stars a falling? Do you see that smoke and lightning? Do you hear the rumbling thunder? Oh Fare you well poor sinner. In that great gettin’ up morning fare you well. As a priest and pastor I work very closely with others: clergy, religious, laity who work for the Church, and laity who volunteer. We all work for the Church because we love her and her people. But along with that love comes, at times, disappointment, hurt, or even disillusionment. Perhaps these feelings result from issues in the wider Church such as the betrayal of sexual abuse by clergy, the lack of courage and leadership from some bishops and priests, the scandal of dissent at the highest levels; the breakdown of discipline, and the strange severity of response to some infractions contrasted with the almost total laxity or oversight in the face of others. Perhaps they are just the result of basic problems that are found in any gathering of human beings: gossip, hurtful actions, hypocrisy, power struggles, wrongful priorities, favoritism, and injustice. And while these things happen everywhere, many somehow hope there will be fewer of them in the Church. Some who have come to work for the Church began by thinking, “What a wonderful thing it will be to work for the Church (instead of out in the cutthroat business world)!” Maybe they envisioned a place where people prayed together and supported each other more. Perhaps they thought the Church was a place where there was less competition and strife. Alas, such hopes are usually set aside early for any who work for the Church. We are, after all, running a hospital of sorts. And just as hospitals tend to attract sick people, so the Church attracts sinners and those who struggle. Jesus was found in strange company, so much so that the Pharisees were scandalized. He rebuked them by saying, People who are well do not need a doctor, sick people do. I have come to call sinners, not the righteous (Mk 2:17). And thus idealistic notions of working in and for the Church often give way quickly when the phone rings with an impatient parishioner on the line, or when two group leaders argue over who gets to use the hall, or when the pastor is irritable and disorganized, or when the maintenance engineer is found to be drinking on the job, or when certain members of the choir are making anything but harmony, or when some favorite parishioners get attention from and access to the old guard leaders while newcomers are resisted. For all these sorts of situations that engender irritation, disappointment, or deep disillusionment, I keep a little prayer card near my desk. I sometimes read it for my own benefit and sometimes share it with those who feel discouraged at what happens (or doesn’t happen) in the Church. At critical moments, I pull the card out and read it to myself or to others, especially those who love the Church and work closely with her. It is a beautiful mediation; it recalls that great love often generates the deep disappointment, but that in the end love still abides. and yet I have touched nothing more pure, more generous, more beautiful. not the Church of Christ. Yes, where else would I go? Our Lady of Fatima – Her Prophecies and Warnings Remain as Essential as Ever! This week on October 13 and 14th I am in Fatima. Such a profound apparition occurred there, and so accurately prophetic of our times! Our Lady’s warnings of the consequences if we did not pray and convert have proven to be sadly accurate. She warned of another, more terrible war (World War II). She spoke of great lights in the sky that would serve as a final warning before the terrible war. (They appeared all over Europe just before Hitler invaded Poland, in the form of a stunning display of the Aurora Borealis.) She said that Russia would spread her errors, that the Church would have much to suffer, and she warned of a pope who would be struck down. Thus, from Fatima comes one accurate prophecy after another. Here we are today, locked in a terrible battle over the most basic units of any civilization: families and the marriages that form them. Fatima, the great prophecy of our time and a summons to sobriety and prayer! Something else that has always intrigued me about Fatima is the name of the town itself. Fatima is a town bearing the name of the daughter of Mohammed; this is so stunning! Why of all places would Mary appear there? Is it just coincidence? If you think so, you have not pondered that everything about the apparition of Fatima is prophetic. The Koran, which is the Bible of the Moslems, has many passages concerning the Blessed Virgin. First of all, the Koran believes in her Immaculate Conception, and also, in her Virgin Birth … The Koran also has verses on the Annunciation, Visitation, and Nativity. Angels are pictured as accompanying the Blessed Mother and saying, Oh Mary, God has chosen you and purified you, and elected you above all the women of the earth. In the 19th chapter of the Koran there are 41 verses on Jesus and Mary. There is such a strong defense of the virginity of Mary here that the Koran in the fourth book, attributes the condemnation of the Jews to their monstrous calumny against the Virgin Mary. Mary, then, is for the Moslems the true Sayyida, or Lady. The only possible serious rival to her in their creed would be Fatima, the daughter of Mohammed himself. But after the death of Fatima, Mohammed wrote: Thou shalt be the most blessed of women in Paradise, after Mary. In a variant of the text Fatima is made to say; I surpass all the women, except Mary. 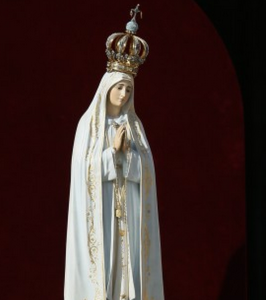 This brings us to our second point; namely, why the Blessed Mother, in this 20th Century should have revealed herself in the significant little village of Fatima, so that to all future generations she would be known as “Our Lady of Fatima.” Since nothing ever happens out of Heaven except with a finesse of all details, I believe that the Blessed Virgin chose to be known as “Our Lady of Fatima” as pledge and a sign of hope to the Moslem people, and as an assurance that they, who show her so much respect, will one day accept her divine Son too. Evidence to support these views is found in the historical fact that the Moslems occupied Portugal for centuries. At the time when they were finally driven out, the last Moslem chief had a beautiful daughter by the name of Fatima. A Catholic boy fell in love with her, and for him she not only stayed behind when the Moslems left, but even embraced the Faith. The young husband was so much in love with her that he changed the name of the town where he lived to Fatima. Thus the very place where our Lady appeared in 1917 bears a historical connection to Fatima, the daughter of Mohammed. Missionaries, in the future will, more and more, see that their apostolate among the Moslems will be successful in the measure that they preach Our Lady of Fatima. Mary is the advent of Christ, bringing Christ to the people before Christ himself is born. In any apologetic endeavor, it is always best to start with that which the people already accept. Because the Moslems have devotion to Mary, our missionaries should be satisfied merely to expand and develop that devotion, with the full realization that our Blessed Lady will carry the Moslems the rest of the way to her divine Son. She is forever a “traitor,” in the sense that she will not accept any devotion for herself, bit will always bring anyone who is devoted to her to her divine Son. A beautiful reflection by Archbishop Sheen and one we can surely hope will come to pass! Relations are much tenser between Christians and Muslims today than in 1952. But Fatima is the apparition that just keeps prophesying. It is nothing less than astonishing that Mary should appear in a town with the name of Fatima. Surely this is no mere coincidence. As Sheen points out, Heaven does nothing without purpose. It is very clear to me that we are not to pass over this detail. “Our Lady of Fatima” has a different ring to it when we consider that Fatima is more than a place; Fatima is the daughter of Muhammad and the greatest woman in Islam. “Our Lady of Fatima” sounds and feels so different when it is heard in this context of person rather than place. It is hugely significant. It seems clear that Mary will play an important role in the years ahead as the Muslim/Christian conflict likely grows sharper. Perhaps, as Sheen notes, she will be the bridge that connects two vastly different cultures; the common mother who keeps her children talking. Right now this connection seems little pursued, even (as far as I can tell) by the Vatican. The Guadalupe connection – I wonder, too, if the history of Our Lady of Guadalupe presents some historical parallels to our current struggle with the Muslim world. In the early 16th Century in Mexico, missionaries had made only meager progress in bringing the Aztec people to Christ. This was a combination of the sometimes rude and cruel treatment of the indigenous people by the Spanish soldiers, and also of the fearful superstition surrounding the Aztec gods. The people were locked in with the fear that unless they fed these gods with horrific human sacrifices, their greatest god, the sun, would no longer shine. Into this fearful and suspicious setting entered Mother Mary. The miraculous image she left in 1531 was richly symbolic. Her face is that of a mother: gentle and compassionate, unlike the appearance of the frightening Aztec gods, who wore fierce masks. Her features seem to be both Aztec and European, two cultures combined in kindness and peace. Her attitude is one of humble prayer, so she is clearly not a god(dess). She is a merciful mother who consoles and prays for us. She is to be honored but not adored. The black band around her waist means that she is with child and offers Jesus to the people. Her message is about Him. The sun was the greatest of the Aztec gods, so by standing in front of it, Mary shows that she is greater than even their greatest god. To the Aztecs, the moon represented the god of darkness and death. That Mary is standing on the moon is a sign that these powers, too, are defeated by the Son she bears. Mary brought the breakthrough. Within ten years, over twelve million Mexicans came to Christ and entered the Catholic Church. This history is paralleled in many ways today in the current tensions with the Muslim World. In many Muslim lands today, conversions are few. Part of the reason for this is a strong aversion to the Western culture from which Catholicism comes. Many Muslims also hold grievances due to alleged American and Western “mistreatment.” Finally, a large factor is fear. In many parts of the Muslim world, leaving the Muslim faith is likely to get one killed. So, it is a combination of a wide cultural gulf, grievances, and fear that keep conversions low. All of this is not unlike the situation in 16th century Mexico. Is Mary key to this? It took Mary to bridge all these similar gaps between the Aztecs and the Christian missionaries. Might Mary also be that bridge today when similar gaps divide people? Time will tell, but one of her greatest modern titles is “Our Lady of Fatima.” And then there is the crescent moon, upon which Mary stands in the image of Guadalupe. In modern times the crescent moon is the symbol of Islam. By God’s grace, and with love and humility, Mother Mary of Guadalupe was victorious in overcoming the false religion of the Aztecs. Might this crescent moon on which Our Lady of Guadalupe stands also point to our times and the crescent moon of Islam? Might it indicate that her victories, by God’s grace, are not at an end? Perhaps we can hope that what our Lady of Guadalupe was to the Aztec people of Mexico, Our Lady of Fatima will be to the Muslim people of the world. As always, I invite your comments and answers to my questions. And [Christ] gave some as Apostles, others as prophets, others as evangelists, others as pastors and teachers, to equip the holy ones for the work of ministry, for building up the Body of Christ, until we all attain to the unity of faith and knowledge of the Son of God, to mature manhood to the extent of the full stature of Christ, so that we may no longer be infants, tossed by waves and swept along by every wind of teaching arising from human trickery, from their cunning in the interests of deceitful scheming. Rather, living the truth in love, we should grow in every way into him who is the head, Christ (Eph 4:11-15). You are slow to learn. In fact, though by this time you ought to be teachers, you need someone to teach you the elementary truths of God’s word all over again. You need milk, not solid food! Anyone who lives on milk, being still an infant, is not acquainted with the teaching about righteousness. But solid food is for the mature, who by constant use have trained themselves to distinguish good from evil (Heb 5:11-14). Now it is true that some of the items in the list above have proper adult versions. For example, the “obsession with fairness” can mature and become a commitment to work for justice; aversion to authority can mature to a healthy and respectful insistence that those in authority be accountable to those whom they serve. You may take issue with one of more of the above and may wish to add some distinctions. It is also true that not every teenager has all of the issues listed above. All that is fine, but the point here is that the culture in which we live seems stuck on a lot of teenage attitudes and maturity is significantly delayed on account of it. Some may also allege a kind of arrogance in my description of our culture as “teenage.” I accept that it is a less-than-flattering portrait of our culture and welcome your discussion of it. But if you reject my categorization then how would you describe our culture? Do you think that we live in a healthy and mature culture? The call to maturity and the role of the Church – In the midst of all this is God’s expectation (through His Scriptures) that we grow up, that we come to maturity, to the fullness of adult faith. Further, the Church is expected, as an essential part of her ministry, to bring this about in us through God’s grace. Notice that the Ephesians text says that Christ has given Apostles, prophets, evangelists, pastors, and teachers, to equip the holy ones unto this. The Church is thus expected to be “the adult in the room.” She is to summon us to live responsible, mature lives. She summons us to be accountable before others, to be sober, serious, and deeply respectful of God’s authority over us by living lives that are obedient to the faith. She teaches us, by God’s grace, to master our emotions and gain authority over our passions. She holds forth for us the wisdom of tradition and the teachings of the Scriptures, insisting on reverence for these. She insists on correct doctrine and (as the text from Ephesians says) that we no longer be infants, tossed by the waves of the latest fads and stinking thinking, and that we not be swept along by every wind of false teaching arising from human illusions. We are to be stable and mature in our faith and judge the world by it. But here we encounter something of an internal problem. The Church has faced the grave temptation to “put on jeans” and adopt the teenage fixations. Sadly, not all leaders in the Church have taken seriously their obligation to “equip the holy ones for the work of ministry … until we all attain to the unity of faith and … to mature manhood and the … full stature of Christ.” Preferring popularity to the negative cries that our teachings are “unfair,” many teachers and pastors have succumbed to the temptation to water down the faith and to tolerate grave immaturity on the part of fellow Catholics. Although it would seem that things are improving, we have a long way to go in terms of vigorously reasserting the call to maturity within the Church. Corruptio optimi pessima (the corruption of the best is the worst). Clergy and other Church leaders, catechists, and teachers must insist on their own personal maturity and hold one other accountable in attaining it. We must fulfill our role of equipping the faithful unto mature faith by first journeying to an adult faith ourselves. The Church is not composed only of clergy and religious. Lay people must also take up their proper role as mature, adult Christians, active in renewing the temporal order. Many already have done this magnificently. But more must follow and be formed in this way. Our culture is in dire need of well-formed Christians to restore greater maturity, sobriety, and responsibility to our culture. By God’s grace, we are called to be the adult in the room. I realize that this post may cause controversy. But remember, this is a discussion. I am not pontificating (even though my name is Pope). I am expressing my opinion and trying to initiate a discussion based on a text from Scripture. What do you think? Here’s a video (from a more mature time) on one aspect of maturity: proper self-reliance. It’s a little corny, but it does model something that is often lacking in families and in youth formation today. We should not usually do for others what they can and should do for themselves. Learning consequences as well as the value and need for hard work is part of maturing. And while there is an appropriate reliance to have on others and a complete reliance to have in God, there is also a proper self-reliance in coming to maturity.